Buying PCB software can be a lot like purchasing a new car. Once you’ve got the full set of amenities that you’ve always wanted (don’t forget the TruCoat! ), you’re about ready to take out a second mortgage on your house. PCB design software does not have to break the bank or cause ruffled feathers during your next budget review. 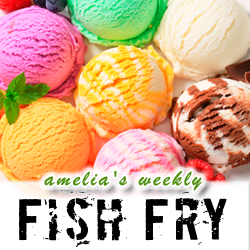 In this week’s Fish Fry, we examine the multiple flavors of Altium’s PCB tool suites packages — all the bells and whistles, price points, and more with Sam Sattel, PCB rockstar from Altium. Also this week, we check out iSkin – the newest research in wearable technology coming out of the Embodied Interaction Group in Germany. You won’t want to miss it!